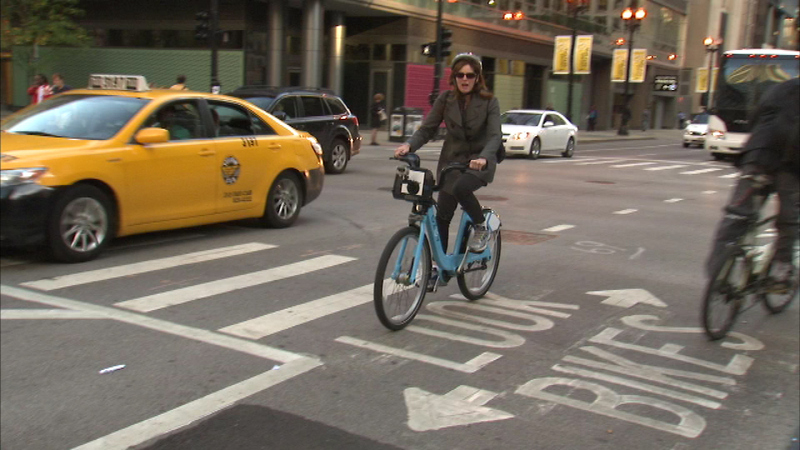 Chicago's popular Divvy bike-sharing program is expanding to the suburbs in 2015. EVANSTON, Ill. (WLS) -- Divvy is coming to Evanston this summer, and residents are being asked to weigh in on potential locations for the bike rental stations. Officials will be handing out surveys at the main Evanston Library on Tuesday night from 5 to 9 p.m.
Community members are being asked to rank their preferences from the list of 17 potential stations.